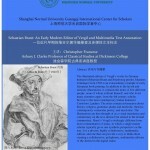 Dear Classics friends: On behalf of the newly founded Shanghai Normal University Guangqi International Center for Scholars, we are greatly pleased to announce the launch of the Guangqi Classics Lecture and Seminar Series. 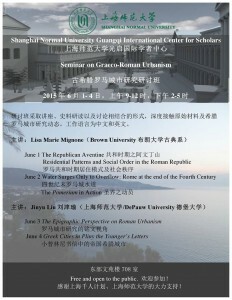 Aiming at promoting Classical Studies in China and fostering trans-lingual and trans-cultural conversations about Classics, the Guangqi Lecture and Seminar Series invites Classics scholars from around the world to share their cutting-edge research, provide master classes, and organize international conferences and workshops on diverse aspects of the ancient world. 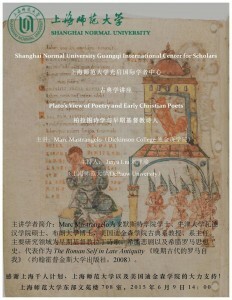 We also warmly welcome resource sharing and collaborative endeavors in various forms. We are very grateful to Christopher A. Francese and Marc Mastrangelo of Dickinson College, who have been instrumental in putting together the program for Season I, and Lisa Mignone and Richard Billows for enriching the academic events. We also wish to acknowledge the generous support from Dickinson Classics, Shanghai 1000 Plan and Shanghai Normal University. Season II is being planned, which will feature Walter Scheidel. 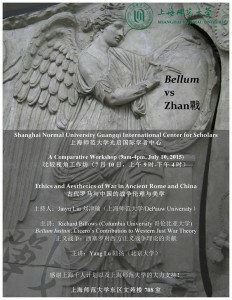 Please help spread the word, and join us in this long-term endeavor in globalizing Classics. 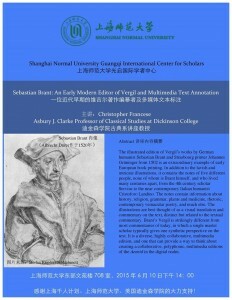 Note: The Guangqi Lecture and Seminar Series is named after XU Guangqi (1562-1633), one of the first literati Christians in China and the great collaborator of Matteo Ricci (1552-1610), a Jesuit missionary whose role in bringing Western Learning to China can hardly be overstated. The DCC Core Latin and Greek Vocabularies are now available in Polish translation, thanks to the efforts of a wonderful Association of Classical teachers called Ship of Phaeacians. 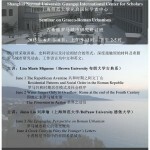 They can be followed on Twitter at @statekfeakow . The work was carried out by Statek Feaków, Agnieszka Walczak, and Marcin Kołodziejczyk. Thanks are due to them, and also to our Drupal developer Ryan Burke, who made the translation module work so that all translations can be linked to the same nodes, and created the views. 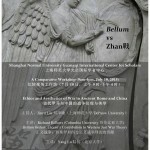 This is the second of our international collaborations for translating the core vocabularies. The Greek core is already available in Portuguese thanks to Caio Camargo. 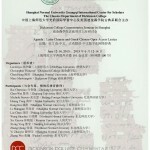 Next month we plan to put up the Chinese translations as well, following the DCC seminar in Shanghai June 12-14. 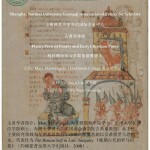 Would you like to help create a new translation in another modern language? Please let us know! 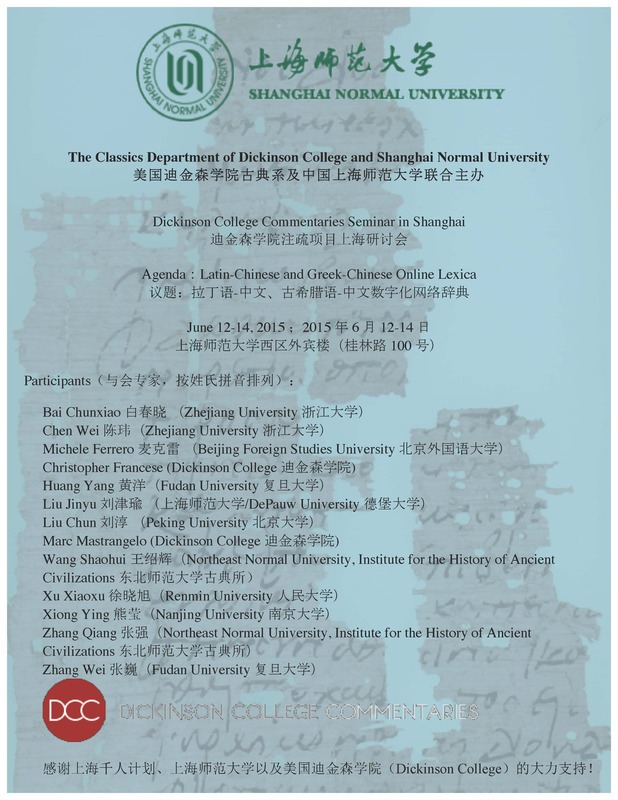 A stellar line up of Chinese scholars of the western classical tradition will meet in Shanghai next month to create Latin-Chinese and Greek-Chinese versions of the DCC Core vocabularies, and to form a plan for future collaboration and resource creation. Can’t wait! 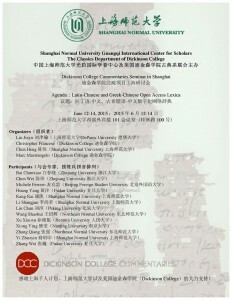 Thanks to Jinyu Liu of DePauw University for coordinating the event, and Shanghai Normal University for hosting!